In Riptide GP: Renegade, Vector Unit’s futuristic hydro jet racing series gets a next-gen makeover bringing more vehicles, courses and stunts than ever before. Now available to download on NVIDIA SHIELD, Riptide GP: Renegade takes the frenetic water-based racing action from the previous games in the series and switches it into overdrive. Riptide GP: Renegade drops players in the role of a rider taking part in the futuristic and dangerous sport of hydro jet racing in which death-defying competitors race one another across huge, elaborate courses, diving over waterfalls, performing insane stunts and doing whatever it takes to finish in first place. Vector Unit has built Riptide GP: Renegade from the ground up for next-gen gaming platforms and when you see it running on your SHIELD device powered by NVIDIA’s Tegra processing technology the results will speak for themselves. Riptide GP: Renegade sets a new standard in water-based motorsport with dynamic water physics, amazing spray effects and stunning environmental animations. The courses you race through are set in a variety of stunning futuristic urban environments featuring towering skylines, parks, fairgrounds, industrial landscapes, a skyport and elaborate sewer systems all rendered in gorgeous high definition on SHIELD Android TV. The game features a deep career mode in which you compete across various courses, race types and boss fights in order to gradually increase your standing on the hydro jet racing circuit. 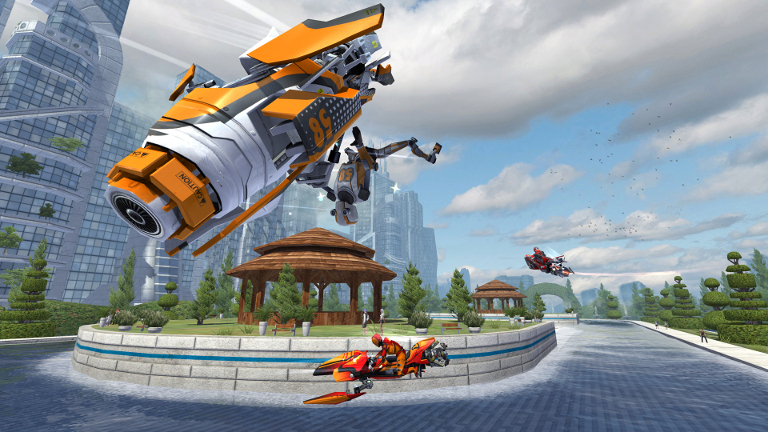 With the XP and cash you earn you can build up a garage full of hydro jet vehicles that transform as you race. You can also customize your vehicles to your liking with performance tweaks and custom decals and even upgrade your character’s stats while learning more stunts as you improve. 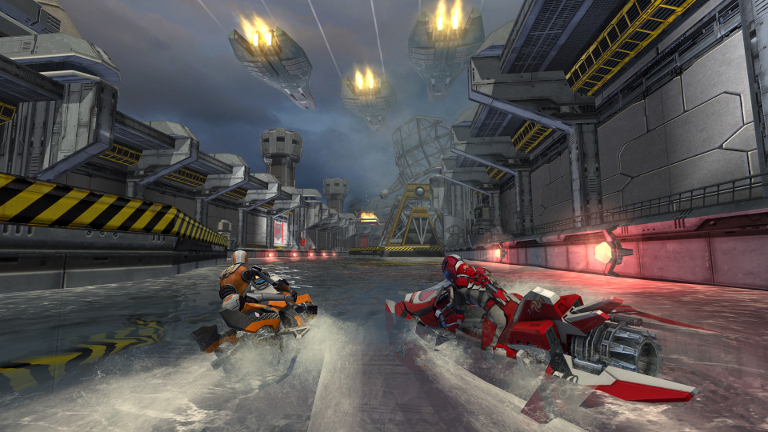 Riptide GP: Renegade also gives players the opportunity to take part in online multiplayer races with up to eight players taking part online. 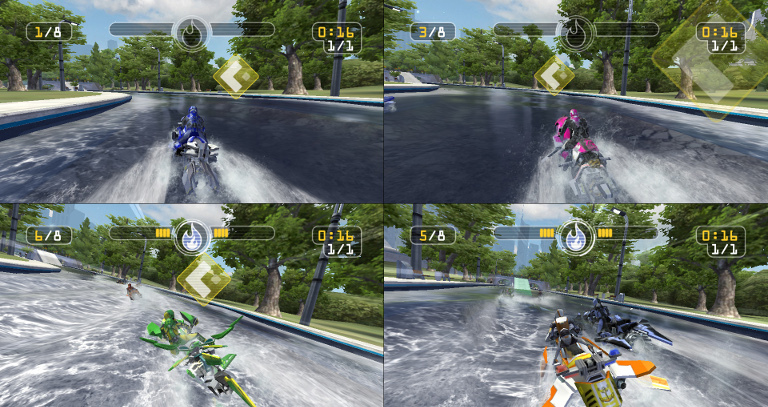 Four players can also race against each other in the local split-screen mode. If you don’t already own the best Android gaming device out there, there’s no better time to pick up an NVIDIA SHIELD to experience one of the most thrilling racing games of the year.